David R. White retired from the Campbell Soup Company after ten years of being the senior vice-president of the global supply chain. The last seven years of his career he served on the board of the Andersen Corporation (the makers of Andersen windows) and was certified by the National Association of Corporate Directors (NACD) as a Board Leadership Fellow. After retiring from Campbell Soup in 2014, he added a second board position with the Sun Products Corporation (a fabric care company with brands such as Snuggle, and Surf) and a third board position with the Menasha Corporation (a private family-owned company providing supply chain solutions). 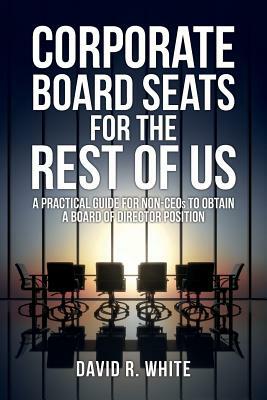 As a non-CEO who has been highly successful obtaining board of director roles, White has helped steer multiple friends and colleagues into their first board seat.